Known for such hit songs as "Bez Lyubvi" ("Without Love") and "Hutoryanka" ("Farm Girl"), this Ukrainian pop and hip hop vocalist became famous for her collaboration with fellow Ukrainian singer Oleksiy Andriyovych Potapenko (Potap). She attended music school in her teens and went on to participate in a vocal music competition in London, England. 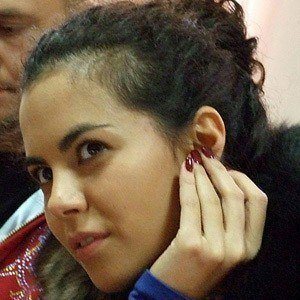 She appeared in a Russian television show called Dve Zvezdy and also competed in the Ukrainian Dancing with the Stars reality TV program. Though a native of the Ukraine, she completed her early schooling in France and Italy. She and her Ukrainian contemporary Mika Newton both had successful singing careers.